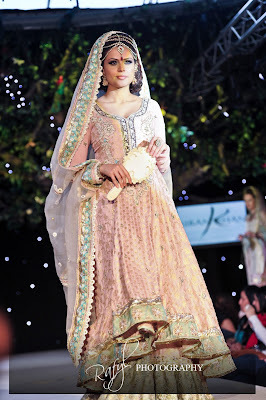 Here's the collection from Kiran Khan at the 2011 Asiana Bridal Show. I really liked the pieces she showcased for the catwalk, although the two outfits above, had already been shown at the 2010 Asiana Show - as beautiful and as popular as these outfits were last year I still think they shouldn't have been put in the show with all the new outfits. Unlike most of the other designers who participated in the fashion show, Kiran Khan also designed the jewellery to accompany her outfits. 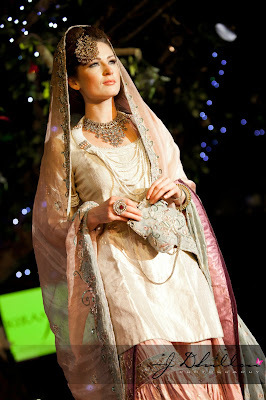 I vsitied her exhibition stand and very nearly ended up buying a pair of earrings from her jewellery collection! 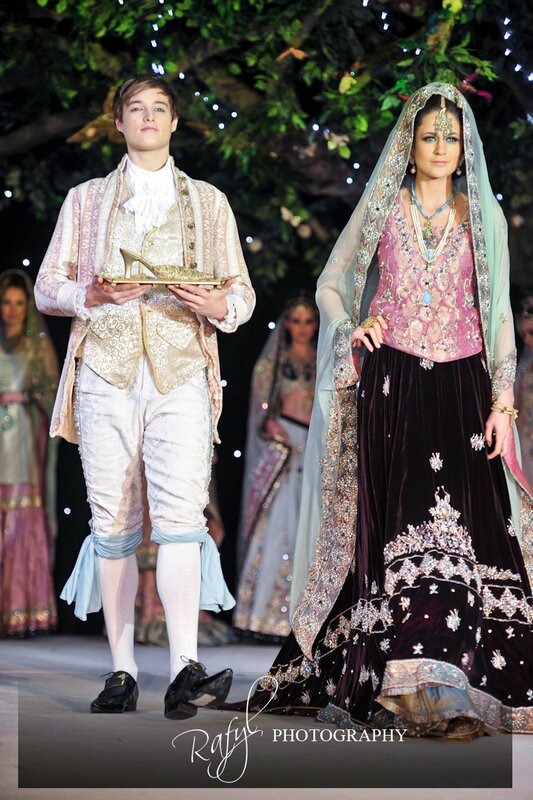 Unfortunately I didn't manage to get photos of all Kiran Khan's outfits, but you'll be able to see them in the next issue of Asiana Magazine. I REALLY liked that pink and black dress the first time I saw it. I think a lot of people must have done because she uses it on pretty much all her promotional material, including her rarely updated website and the magazine ad in Asiana. I agree with Nazma and Asiya, the pink and black lengha is realy nice, but should not have been put on the catwalk again as it was from her past collection and people want to see new designs from designers. I do like the pastel shades off colours that have been used. Hi.. Does this designer not have a website? Also were is the designer based?